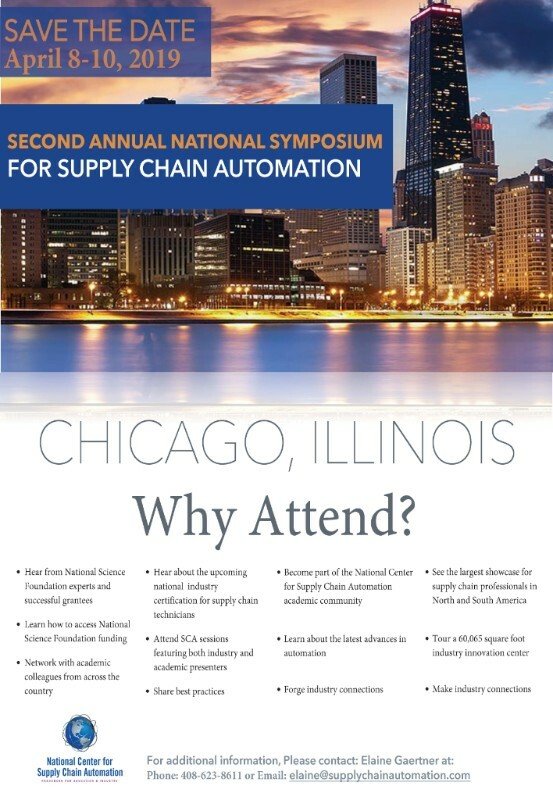 Plan now to join us at the National Center for Supply Chain Automation’s second annual Symposium to be held April 8-10, in Chicago. The Symposium will feature information about the latest trends in Supply Chain Automation, Technical Education and how to access NSF Grant funding. See our flyer below for information and connect with us on our website. Was this newsletter forwarded to you? Don't miss our next issue! Subscribe now! Copyright Â© 2018 National Center for Supply Chain Automation, All rights reserved.